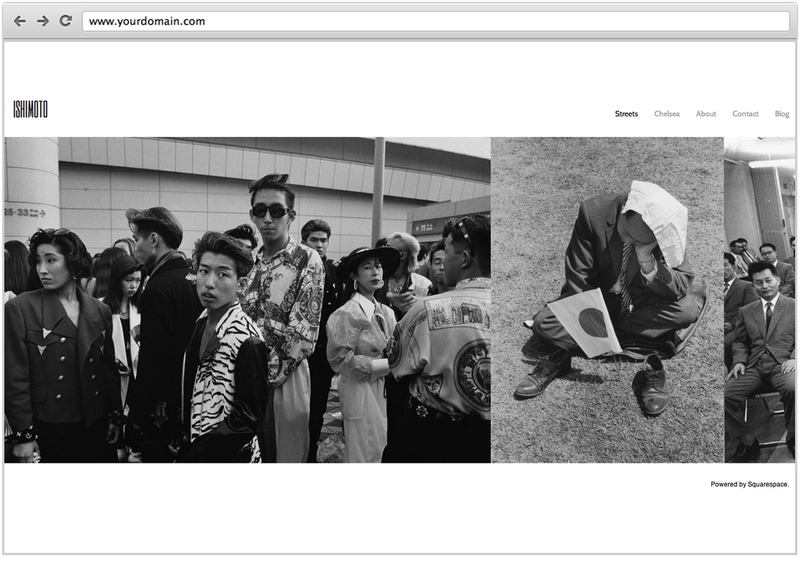 Although the main gallery always spans across the page, there are many ways to stylize the header and links in Ishimoto. The header width can be constrained to the width of the content or the width of the entire site. Additionally, the header can be customized to appear on the left, right, or center of the page. When centered, the navigation links will always be stacked beneath the site title. The main content of the page can be set to align to the left, right, or center.